Do you or a loved one have an addiction to opioids, heroin, cocaine, meth or another powerful drug? Breaking free of an addiction to drugs is most effective when you do it with the help of rehab specialists and professionals. Our drug rehab center in Sandy, Utah can provide the help you need to leave drugs behind forever. Here are just a few of the benefits we offer our clients. One of the most valuable assets of our Sandy addiction recovery facility is the team of addiction specialists. Our addiction specialists are experienced in diagnosing clients and determining the best recovery path for each individual. We provide our clients with support and guidance as they move through the steps necessary for recovery. We understand the difficulty of conquering an addiction to drugs. That’s why we dedicate ourselves to enabling you to succeed in getting back a life you can be proud of. Oftentimes, a client’s addiction to drugs is accompanied by another, underlying mental health condition. For instance, a person may enter Dodson Recovery to deal with an addiction. But after a thorough evaluation, we may find that the client also has bipolar disorder. This results in a dual diagnosis and subsequent treatment for the co-occurring condition. Making a dual-diagnosis allows a client in our Sandy addiction recovery center to receive treatment for both a drug addiction and the underlying condition that may have prompted the reliance on drugs. Today, we know that helping someone get off drugs is not a one-size-fits-all process. 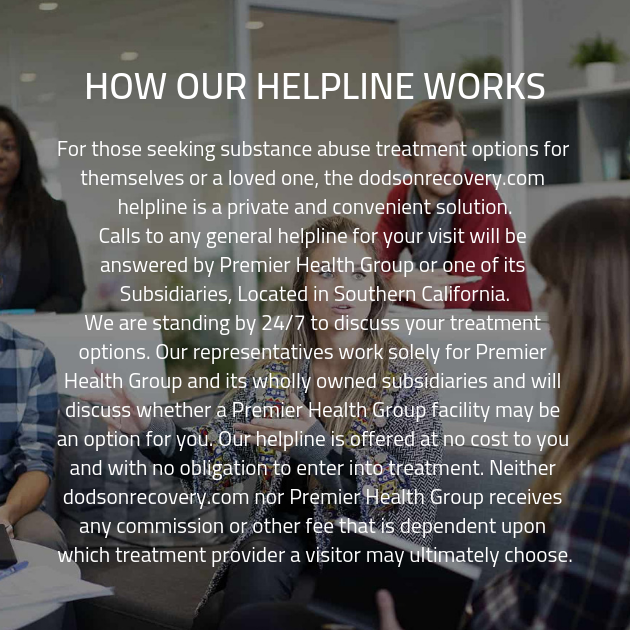 Dodson Recovery drug rehab centers provide clients with an individualized treatment plan. In our Sandy drug detox clinic, we evaluate a client thoroughly to determine the type of therapy that will work best. We also adjust the plan if necessary as the client moves forward with recovery. Our drug rehab center in Sandy takes clients through all the steps to recovery including detox, therapy and aftercare. We provide supervision as a client detoxes and the chemical toxins leave the body. This can be a challenging time, so we are here to offer support and encouragement from beginning to end. We know that each step contributes to the success of our clients after they leave our Sandy drug rehab facility. Making the decision to go to a substance abuse treatment facility is an important step in a person’s life. During treatment, clients share delicate information about the experiences that led to their addictions. We provide clients with a safe environment so they can share life experiences without fear of judgment. Some of the biggest steps toward recovery from drug addiction are taken during therapy sessions, both group and individual. A group of supportive peers plays a critical part in our Sandy addiction recovery program. All of the clients at our addiction treatment center are here because they’ve decided they want a better life and need help getting there. Receiving the support of peers who know what you’re going through can help you move closer to recovery. Once clients complete the steps in our Sandy addiction treatment facility, they prepare to go back into world. We provide our clients with aftercare, so they can continue their victories and feel supported even after leaving us. Aftercare may take the form of outpatient group therapy once a week, individual counseling multiple times a week, and phone calls from an addiction specialist to see how a client is adapting to life without drugs. It’s important for clients to continue to feel the sense of accomplishment they experienced while in our addiction recovery program. Lastly, our Dodson Recovery is filled with dedicated professionals who want to see you overcome your addiction. Contact our drug rehab center in Sandy, Utah today and allow us to help you get started toward a new, healthy, happy, and more satisfying life.